On the third Monday in March, the Mexicans celebrate Benito Juárez Day. It is an annual public holiday dedicated to a Mexican politician who served as President of Mexico for five terms. 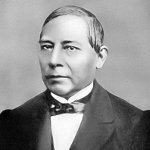 Benito Juárez was born on March 21, 1806, into a poor peasant family. He was raised by his uncle because his parents and grandparents died when he was young. In 1834, he became a lawyer. His political career began in 1847, when he was appointed the governor of Oaxaca. When the dictatorship of Antonio López de Santa Anna was overthrown, Juárez became President of the Supreme Court of Justice. He also served as interim President of Mexico from 1958 to 1961. In 1961, he was elected President in his own right. Juárez served for four consecutive terms from 1861 to 1872. He is remembered for using liberal measures for modernizing the country, resisting the French intervention in Mexico, and overthrowing the Second Mexican Empire. He struggled for equal rights for indigenous peoples and against organized religion. The birthday of Benito Juárez was declared a national holiday. The holiday was made moveable in order to give the citizens a long weekend. It has continued to grow in acceptance within Mexican culture.